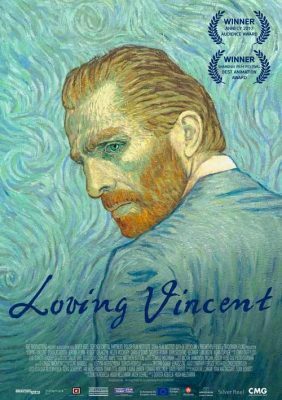 The film brings the paintings of Vincent van Gogh to life to tell his remarkable story. Every one of the 65,000 frames of the film is an oil-painting hand-painted by professional oil-painters who travelled from all across Europe to the Loving Vincent studios in Poland and Greece to be a part of the production. As remarkable as Vincent’s brilliant paintings, is his passionate and ill-fated life, and mysterious death.